It’s a quiet time for the D&D fan. 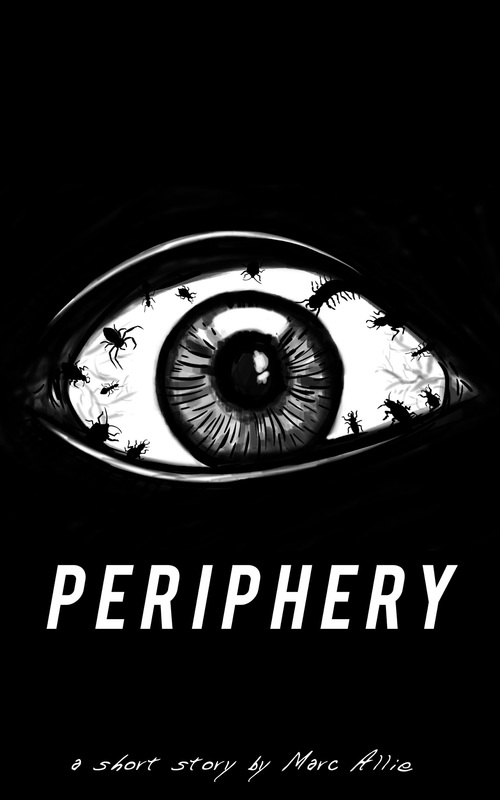 4th Edition is done, but the new version of the game (whatever it might be called) is months away. Coupled with this lull in activity is a sense of nostalgia due to the 40th anniversary. 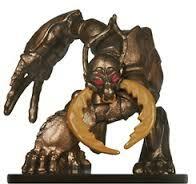 These two factors have caused me to turn my eye to the digital offerings at D&D Classics. Having the chance to purchase a few titles from the glory days of my youth is certainly worth a few bucks. Today, I am taking a look back at GAZ1 The Grand Duchy of Karameikos, a book I absolutely loved when it was released. Does this first Gazetteer hold up to the modern eye? The first thing that struck me about reading through GAZ1 after all these years was the sheer amount of text. There are extensive sections without any illustrations, charts, maps, or anything of the sort. The first 25 pages are walls of three column text. It’s a lot to get through, in all honesty. The Player’s Background takes readers on a brief tour of the map of Karameikos before launching an interesting section for character creation. Players roll dice to randomly determine social standing, ancestry, and their home town. There are even special charts for the three demihuman races Basic D&D supports. Rules for skills are also included in this section. At the time, I thought skills were a fantastic addition to the game, and never played without them. While I appreciate the inclusion, which added some depth to Basic, the three page rules here don’t really go into the depth that such a system requires. There is lots of room for interpretation, a bit more than what I am used to after the much stricter skill system in 4th Edition. The overwhelming majority of GAZ1 is devoted to fluff, with a vast array of details giving background information to your campaign. A timeline of the region’s history is very helpful. A section devoted to politics includes an interesting sample story hook. One of the largest portions of the book details Karameikan society. And I mean, DETAILS, including social ranks, religion, military forces, the legal system, even fashion trends and a calendar. There is almost as much text describing Karameikan dress as there was about the skill system earlier in the book. The economy and major geographic regions, as well as information about communities scattered through the land, are also detailed. The end result is a very well thought out and highly realistic setting. The largest section of the book is devoted to NPCs. There are dozens of characters in this listing, from the Duke himself all the way to suggested big bad evil guy, Baron Ludwig von Hendricks. For each person, paragraphs about history, personality, appearance, DMing notes, and game statistics are provided. There is a tremendous wealth of useful information here, and it would be easy to find an NPC for almost any need in your campaign. GAZ1 closes with more crunchy elements. A list of suggested monsters is supplemented by two new creatures, the chevall (horse/centaur shapeshifter) and the nosferatu (variant vampire). A few final, very helpful pages with DM advice round out the book. I particularly liked the short adventure starters, arrayed in a nice progression from Basic to Master level. This is the sort of thing I craved when I was younger. Often, getting a good hook was the hardest part of making a new adventure. So, does The Grandy Duchy of Karameikos hold up more than two decades later? For the most part, yes. The sheer amount of edition-free fluff makes it a good read no matter what game system you are using. But it really doesn’t do much as a supplement for Basic D&D. Later entries in the GAZ series would tend towards more crunch, but this first release is disappointing if you are looking for rules-heavy content. It is interesting from a historical perspective, and would be a solid campaign setting for any edition, even 4E or Next. But there’s not a lot of new ground broken here; Karameikos is the very definition of generic medieval fantasy, albeit one that is well designed. It’s certainly not nearly as unique as Dark Sun or Spelljammer. Unless you have a strong nostalgia for GAZ1, I’d suggest waiting to spend your digital dollars for more unique Gazetteers to come in the future. 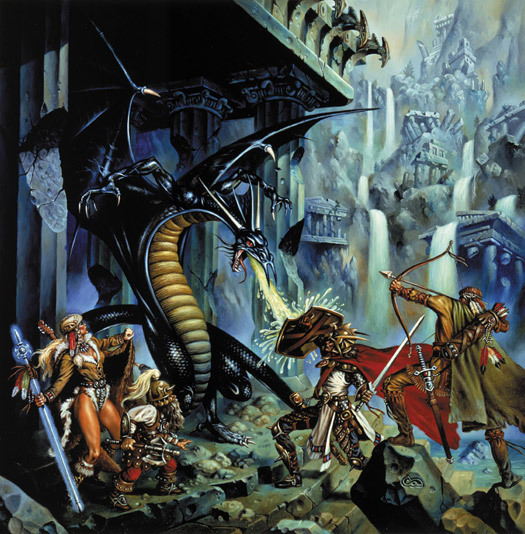 Help support The Learning DM by purchasing D&D Classics here! 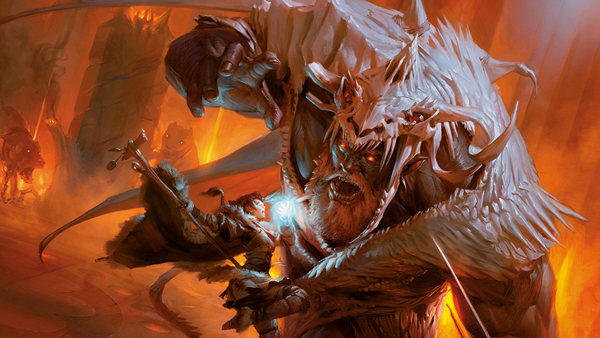 In 2012, Wizards announced that they would go back to releasing select items from the back catalog digitally again. 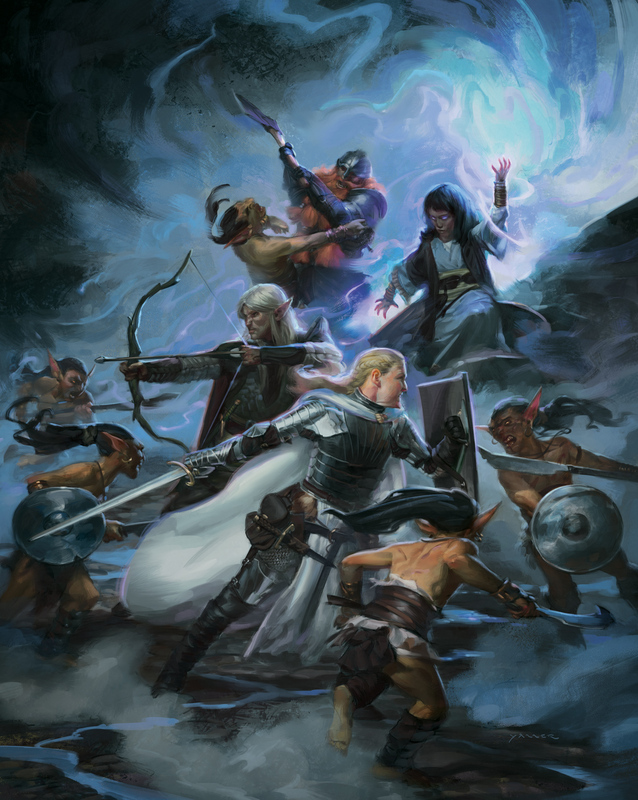 As an old school D&D fan, I found this news quite exciting. 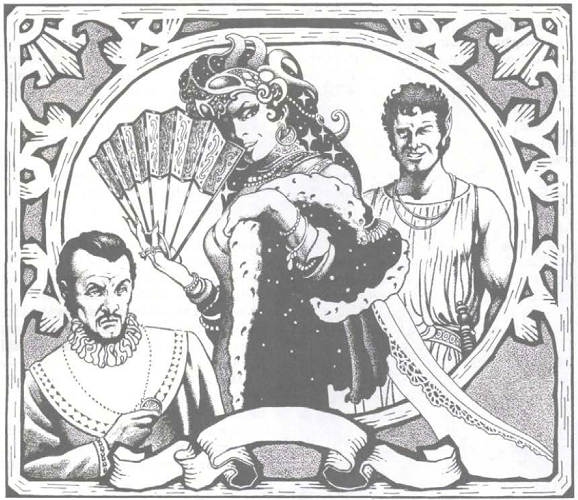 I immediately made a wish list of favorites I wanted to see at dndclassics.com. Two items on this list, the original Dragonlance modules and the Mystara Gazetteer series, were nowhere to be found in all of 2013. I was thoroughly tickled, then, when both of these series were included with the first new releases of the year. It looks like one Dragonlance module and one Gazetteer will be available for download each week, if the current trends hold. I have so far downloaded DL1 Dragons of Despair and GAZ1 The Grand Duchy of Karameikos. 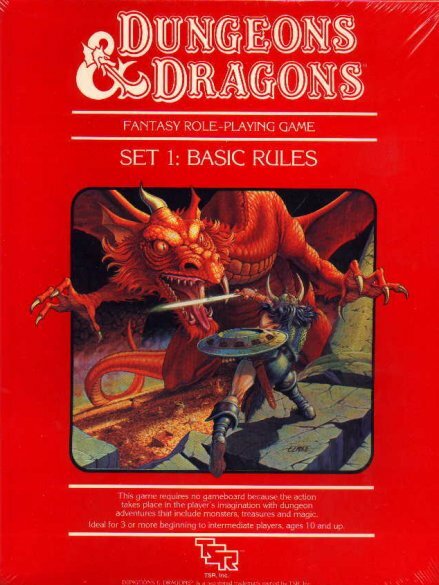 I thought I would share my initial thoughts on reading these iconic though dated classics through the eye of a post-4E Dungeon Master. I will cover Dragons of Despair in this post, with The Grand Duchy of Karameikos to come later. First off, a caveat: I never actually played through the DL series, either as a player or a DM. I did pick up a copy of DL5, Dragons of Mystery, which was basically a sourcebook, during the heyday of my Dragonlance reading frenzy. I had always supposed that the adventures followed very closely with the events of the Chronicles trilogy. This supposition was backed up by research in the past decade or so. Many people across the community have been unkind to the DL series, painting the picture that it is as railroad-y as adventures get. I was honestly surprised then, by my first readthrough. It is true that the major events from the first half of Dragons of Autumn Twilight are here. The party encounters Goldmoon and Riverwind at some point, and they are driven by the dragonarmies to the ruined city of Xak Tsaroth. But that is basically the only real railroading going on here. There is a lot of room for exploration, flexible encounters, and really more to do here than you might expect from reading the novel. The city of Xak Tsaroth itself is an enormous dungeon, filled with hordes of draconians, potential gully dwarf allies, and of course a mighty black dragon. It is an interesting setting, different than the standard dungeon, yet it still has that vintage crawl feel. I particularly appreciated the design of Onyx, the dragon, who interacts with the party from the beginning instead of merely waiting in her lair to be slain. Reading through DL1 was very enjoyable for me as a fan of the Dragonlance saga. While it is clearly a story-driven adventure, there is a good amount of leeway for the DM and freedom for the players. I am considering running the series myself, with a mixed group of some who have, and some who haven’t read the books. I think those who are familiar with the story would enjoy seeing it as a “what if” tale, especially if we used new characters. Those new to the setting would surely appreciate the epic nature of the saga. I am very much looking forward to picking up further releases in the series. One last comment: it is quite shocking to see the stats for eight different PCs all fit on one page (front and back). It was originally a page intended to be cut out and passed to the players. 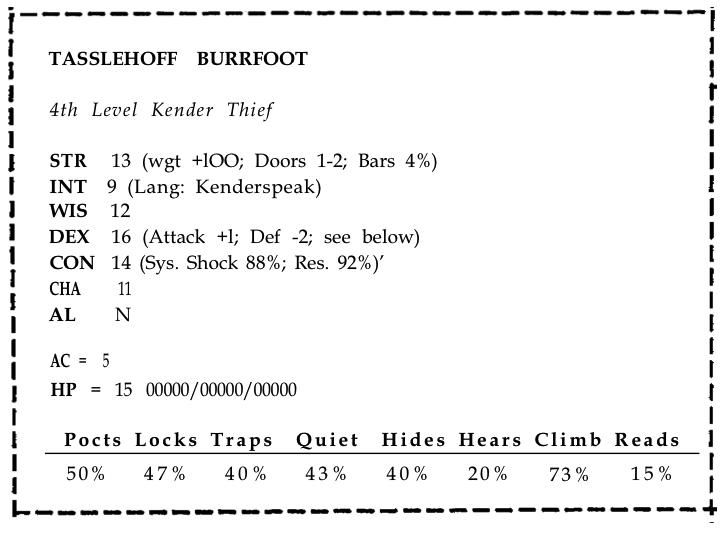 Imagine being able to note a PCs relevant stats and abilities all on one small piece of paper, with only equipment and a background paragraph on the reverse side! How things have changed. As I write this post, it has been almost two and a half years since I began this blog. For a good portion of this time, I’ve been running a regular D&D campaign. 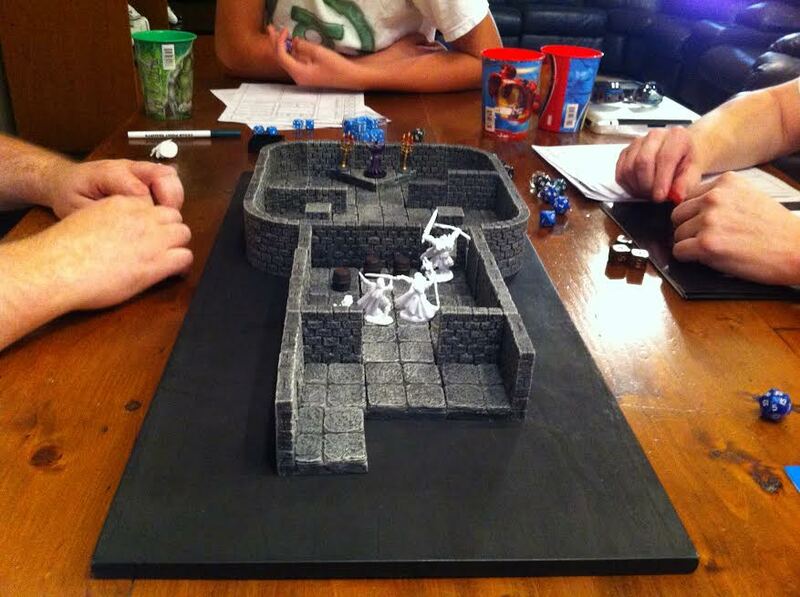 In early 2011, our group started with five PCs and myself as the DM running 4th Edition Essentials. After six months or so, we lost a player, and the campaign changed from a brisk weekly pace to a more leisurely monthly schedule. Subsequently, another player quit, and a lengthy hiatus was the result. However, in the summer of 2012, two new players came on board, and we’ve been playing regularly since. Several months ago, after completing Madness at Gardmore Abbey, we switched to D&D Next. I was hoping the more compact rules would be a good fit for our campaign, and they certainly were. I had a blast taking my players through White Plume Mountain and the original Ravenloft. After one more session in a few weeks, the players will hopefully defeat Strahd and free the land of Barovia from his tyrannical hand, for at least a while. 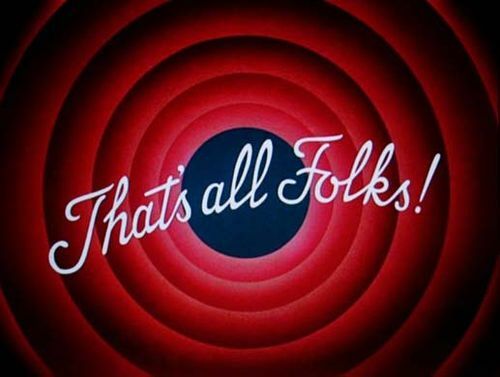 After that, we are taking an extended break. For the first time in what seems like quite a while, I won’t be actively running a D&D campaign of any sort. There are many reasons for taking a break. I’ve been frustrated by coordinating a free night for a group of five busy adults (and one preteen) once per month. Every time, it seems as if I choose a night, everyone agrees, and then the conflicts start. 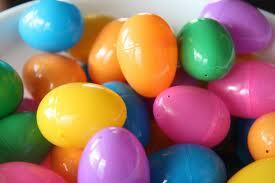 Typically, several dozen emails are involved in making the arrangements. That’s a sign, I think, that it is not important enough to all my players, and perhaps time to move on. 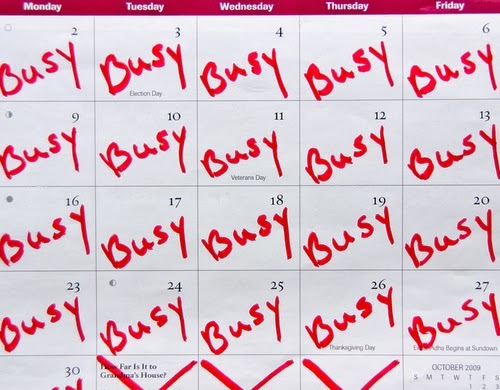 In any event, I am weary of the struggle to simply find a good time to play each month. 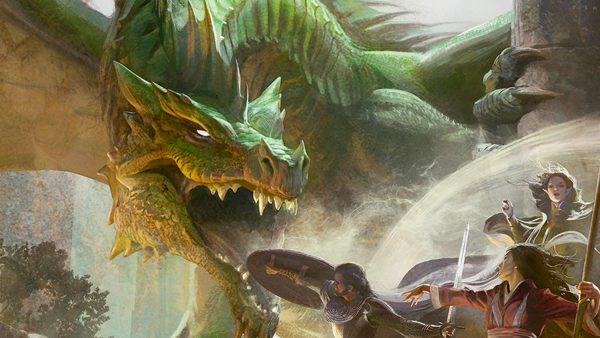 Another issue has been the state of the D&D Next playtest. I am generally pleased with the way the new version of D&D is shaping up, but wading through a sea of PDFs and paper printouts is an obstacle. Running a one shot adventure with the test documents is fine, but it’s not easy to do a campaign this way. We are really feeling the lack of well organized books to use at the table. If we can take time off right now, and come back in full force when the books are released (next year, I presume), things should be better. Other role playing systems are also calling to us. 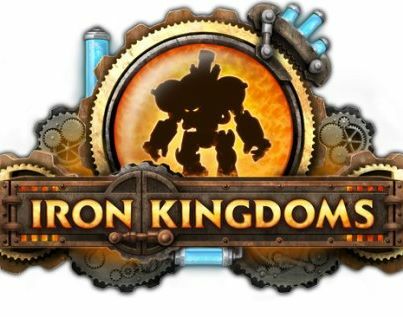 This summer, we played a session of the Iron Kingdoms RPG, based on the world of the Warmachine and Hordes tabletop miniatures game, which we also play and enjoy. It was quite fun, especially for me, as I had the chance to be a player and not a GM. 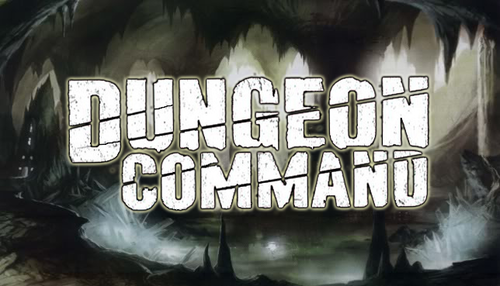 One of my regular players has expressed an interest in running an IKRPG campaign, which is quite exciting. Another player wants to run Castles and Crusades, an old-school AD&D clone. I am not sure whether these games will ever get off the ground or not, but I am happy to step away from the DM seat and let someone else take over for a while. Perhaps the greatest factor in my decision to take a break from the campaign is the simple fact that other interests are taking my attention. A look at the publication dates here on my blog shows that I have been posting less and less over time, particularly in 2013, and this corresponds with my increasing apathy towards D&D in general. I would rather spend my time painting miniatures, playing video games, or a whole host of other hobbies and activities. With the “between editions” lull in exciting D&D material, there are just too many other new, shiny things I’d rather be doing. With any extended break, there is always the question: is this just a break, or is it the end entirely? Back in my college days, I played what I thought would be my last D&D game ever. It wasn’t, but if you had asked me five years ago, I would have told you I was done with D&D forever at the age of 23. This time, though, it’s different. I don’t think it will be another 15 years before I run another D&D campaign, especially with a 12 year old son who is still very interested in role playing. I plan to follow the D&D Next news over the next months, and hopefully, sometime in 2014, I will don my DM hat, grab some index cards and a handful of dice, and start telling stories with my players once again. 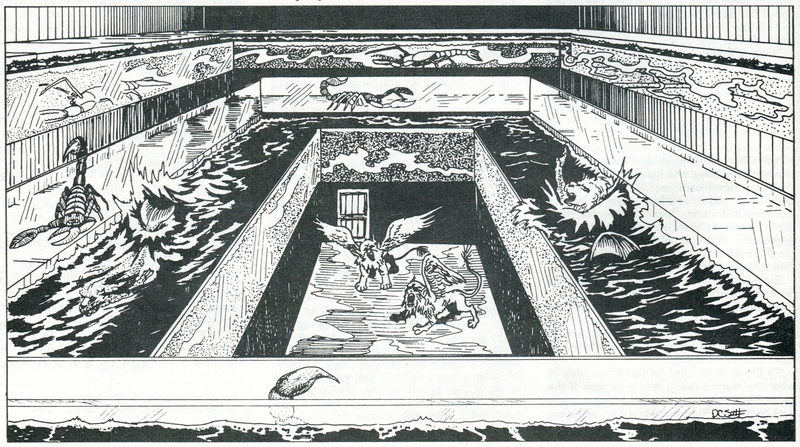 In my group’s monthly sessions this summer, I’ve been running White Plume Mountain. It can be found in the recent premium hardcover adventure compilation Dungeons of Dread and also in Tales from the Yawning Portal. Back in the day, I was mainly reading the Basic D&D material, so I never got to experience White Plume Mountain before. Looking over it as a D&D Next DM, I thought it would be lots of fun to run, and to see what my players came up with. I thought I would share some tips for running your Next playtest characters through the crazy dungeon of the enigmatic wizard Keraptis.